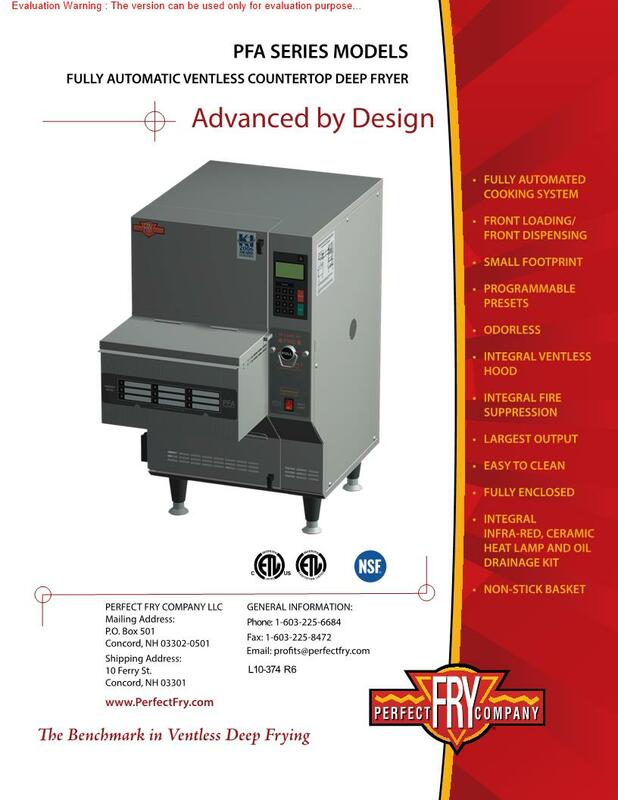 The fastest and easiest way to cook fried foods - introducing the innovative Perfect Fry Ventless Fully Automatic Fryer. Removing the need for overhead extraction, the Perfect Fry delivers incredibly accurate and uniform cooking every time. Whether youre cooking chips, fish, chicken or onion rings, the Perfect Fry leaves the food deliciously crispy and appetising. Just enter the cooking time into the control panel and let the machine do the rest. Built-in HEPA style air filters reduce emissions and make the machine almost odourless when in use. For further versatility, the Perfect Fry also includes Dual Load functionality, which allows you to cook two products with different cook times simultaneously.